Prepare your stomachs for free ice cream! Ben & Jerry’s recently announced that its annual Free Cone Day is scheduled to take place around the world on Tuesday, April 9. All you need to do is find a Ben & Jerry’s location, get in line and order your no-charge sweet treat in a cone or cup. The free offerings will include everything from iconic flavors such as Stephen Colbert’s Americone Dream to classic varieties like Triple Caramel Chunk. This year, the brand’s iconic Chocolate Chip Cookie Dough is slated to be available in both its original and new, non-dairy form. Ben & Jerry’s doesn’t limit customers to just one free scoop, so ice cream lovers who find themselves in a “cone-undrum” over which flavor to choose can simply get back in line a second (or third, or fourth!) time. 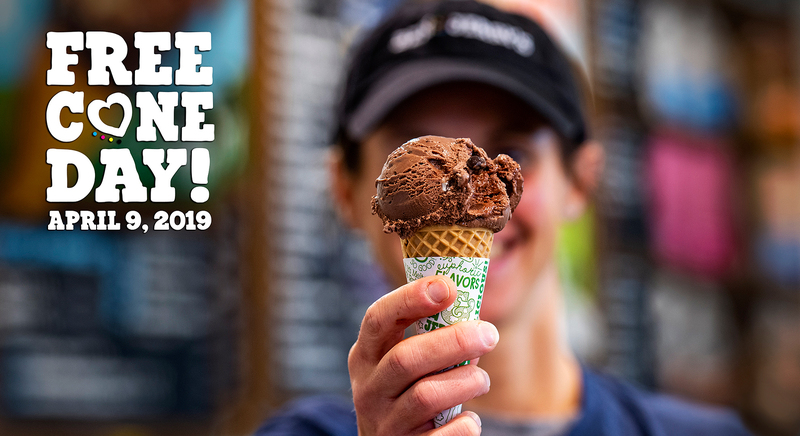 Free Cone Day first began back in 1979, when the company’s cofounders, Ben Cohen and Jerry Greenfield, opened the doors of their renovated gas station and threw a party for the citizens of Burlington, Vermont. The idea has since turned into an annual event. This year, Ben & Jerry’s has also announced ambitious plans to eliminate single-use plastic in its stores across the globe. Fans can help cut down on waste by ordering their scoop in an edible cone, rather than a disposable cup. Furthermore, the brand is holding a sweepstakes for fans who are not near a Ben & Jerry’s store. Three lucky winners will receive a year’s worth of free ice cream. For more details, including where to find a participating Ben & Jerry’s near you, visit www.benjerry.com.